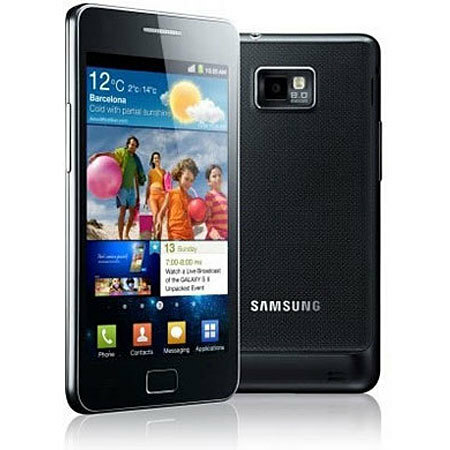 Introducing the next generation of smartphone - the ultra powerful Samsung Galaxy S2 i9100 with dual core processor and 4.3" Super AMOLED Plus screen. Ok - I've had every iPhone that has existed, and a fair few Windows Mobile devices and the odd Android. The Samsung Galaxy S2 WIPES THE FLOOR WITH ALL OF THEM. Without doubt this is the BEST phone on the market right now - up to and including the Samsung Galaxy Nexus (which I bought, was disappointed with). I ended up switching back to the Samsung Galaxy S2! Beautiful to see and use - it has got it all and knocks the iphone 4s into a back alley. Android is clever and user-intuitive so go4it!. Everything You Can Ask For In A Phone! This is the best phone I have ever had. This phone can do everything you can ask for. The speed of this phone is unbelievable! people compare this phone to items such as, iphone 4 ect. Currently voted the best phone out at the moment, which doesn't surprise me! :-) the screen on this phone is superb, the camera is excellent, even with taking photo's in dark. It's a thin and light device, which also doesn't make it have the 'brick' feeling. Seriously, I cannot believe how good this phone is. ! would definitely recommend to anyone wanting a fast, thin, amazing phone! 10/10. Welcome the next generation of smartphone. Featuring the powerful and efficient 1.2GHz Samsung Orion processor, the Samsung Galaxy S2 is less like a phone and more like a computer in your pocket. Run more powerful programs, record and play back full 1080p HD videos, switch between multiple programs on the fly, and much much more. If you thought the screen on the original Galaxy S was good, you haven't seen anything yet. 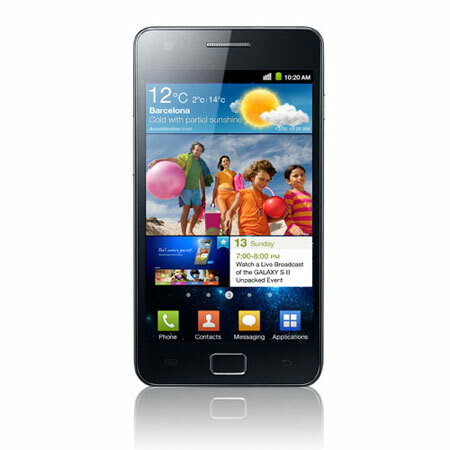 The Samsung Galaxy S2 features the brand new and exclusive Super AMOLED Plus technology, at a resolution of 800 x 480. This screen has such a high contrast ratio and provides such vivid colours, it's the closest you can get to lifelike image reproduction on a small screen. Transfer files faster and listen to higher fidelity music with the latest Bluetooth 3.0 technology. With a theoretical transfer rate of 24Mbit/s, you can play your music through a Bluetooth 3.0 headset or speaker with no loss of quality at all. In conjunction with the 1.2GHz dual-core Samsung Orion processor, the Galaxy S2 has 1GB of RAM to help power the latest Android apps. Keep more apps open simultaneously, while developers code newer, more functional apps to take advantage of the latest technology. The Samsung Galaxy S2 is preloaded with the latest version of Android, 2.3 Gingerbread. This offers the best in security, functionality and speed, while also providing maximum compatibility with the Android Market's thousands of apps. Share your memories with the 8MP camera with 1080p video recording on the Samsung Galaxy S2. Play back your videos with an MHL port on any HDTV, letting your friends and family see what you've been getting up to. Or if you want them to see what you're doing while you're doing it, use the best-in-class 2MP front-facing camera to show them in real-time. This handset is covered by a full 12 month manufacturer's warranty.